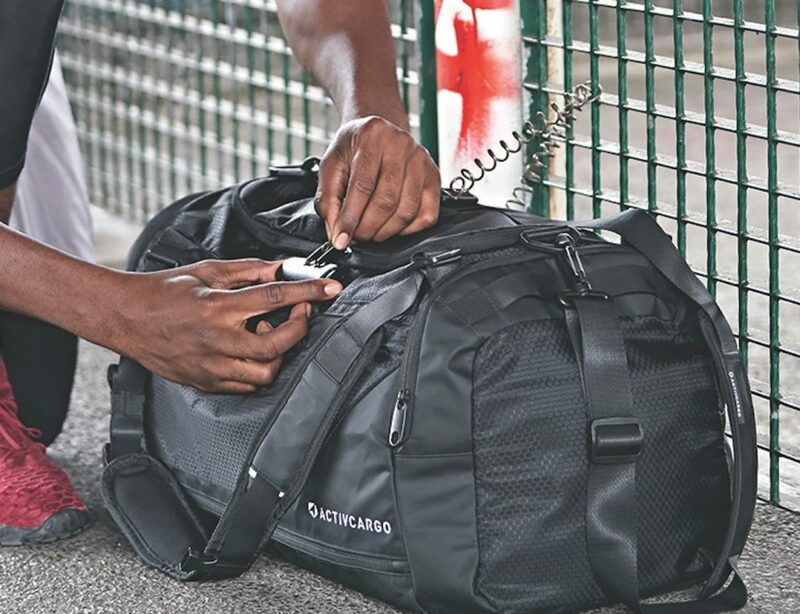 Relax on your travels knowing your gear is secure inside the Leather Ruck Sack by Loyal Stricklin. 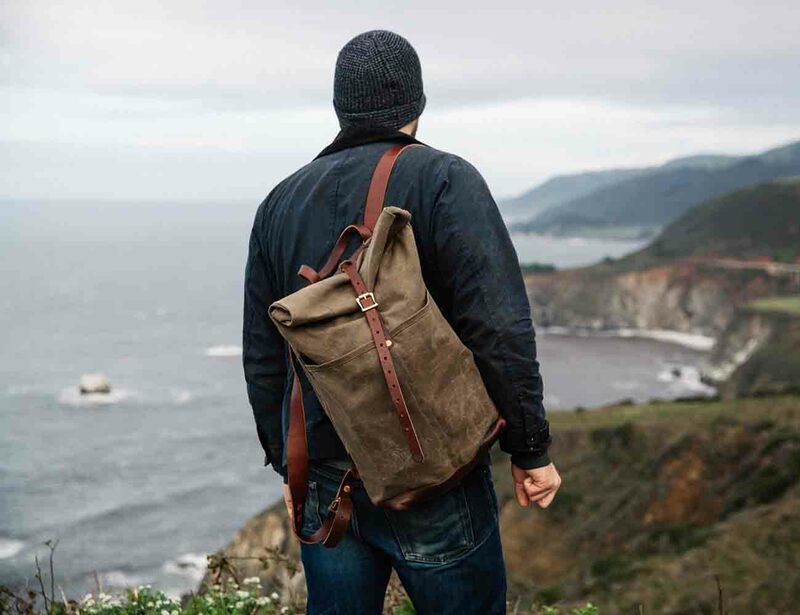 Made with 4-ounce Wicket and Craig harness leather, this bag has more than enough storage for a weekend away whether that’s to a hotel or your favorite campsite. 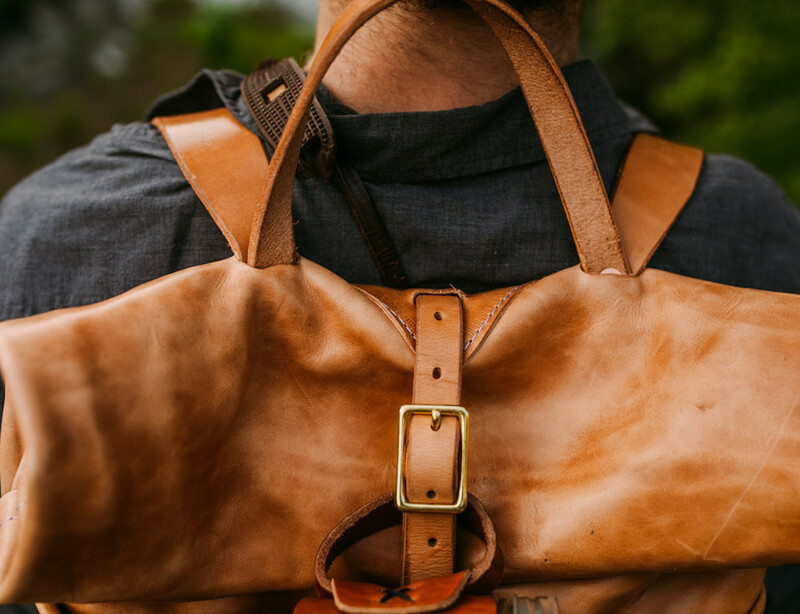 Complete with a vintage look, the Leather Ruck Sack has a large main compartment that secures closed with a roll top and a buckle. 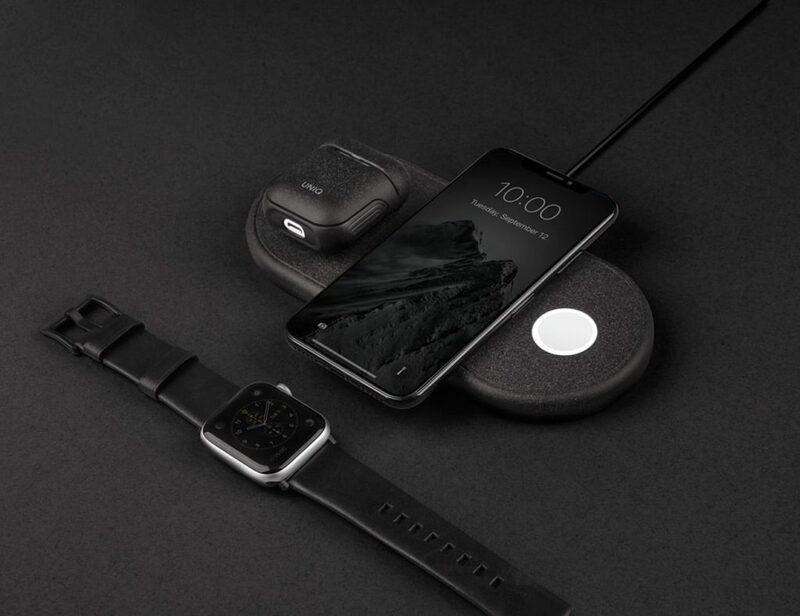 The bag also has two smaller pockets in the front designed for your gear such as your map, tools, and smartphone. 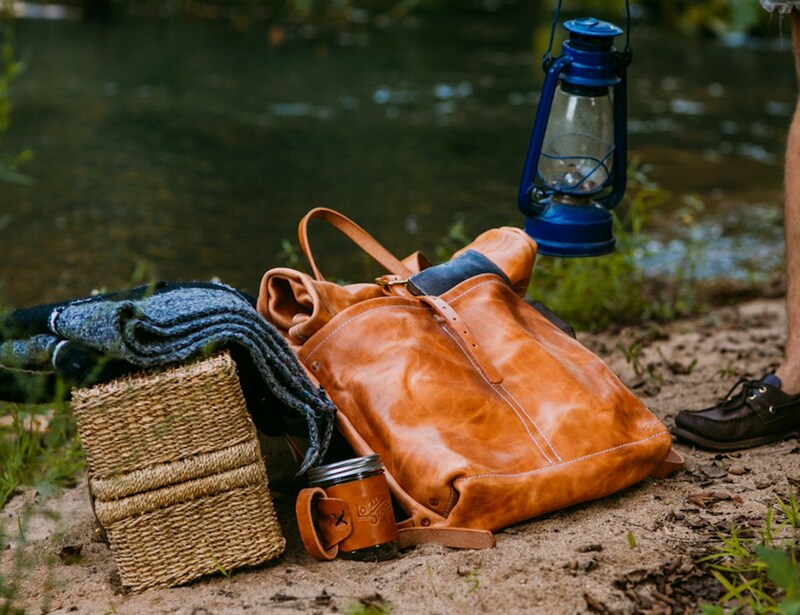 With each made to other, this bag combines your need of space with a rustic inspired design. 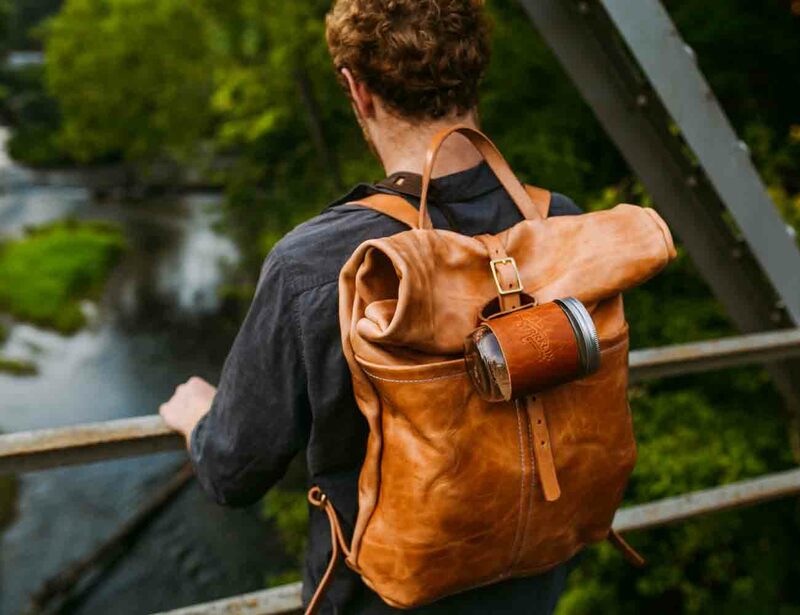 From exploring the countryside to exploring your own city, the Leather Ruck Sack complements every adventure.